Summary: A person commits Minor in Possession if they possess an alcoholic beverage while under the age of 21. Aggieland boasts a student population of nearly 80,000, and a significant portion of these students are under 21. 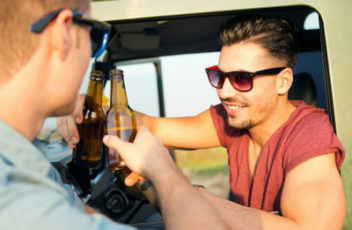 With recent studies showing that up to 80 percent of current college students use or have used alcohol, there's no great mystery surrounding the high number of Minor in Possession or Consumption of Alcohol citations that are handed out here every year. Even though only a Class C misdemeanor, a MIP or MIC could lead to a $500 fine, court costs, court-ordered community service, a mandatory alcohol education course, and even a driver's license suspension. Without experienced legal representation, a common college mistake can turn into a serious headache. Don't let a Minor in Possession charge negatively affect your current college experience and future career aspirations. If you or a loved one have been charged with MIP or MIC, contact our team of experienced criminal defense attorneys at the Law Office of James & Reynolds today.